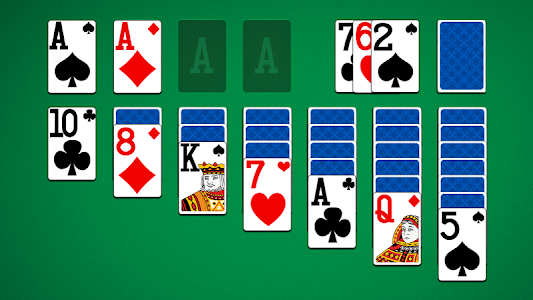 Play the #1 FREE SOLITAIRE (or Klondike Solitaire / Patience) card game on Android! 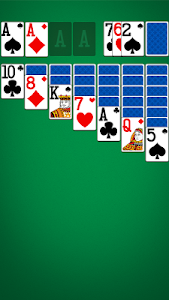 Classic Solitaire, also known as Patience Solitaire, is the most popular solitaire card game in the world. Try our BEST FREE SOLITAIRE card app, which is beautiful and fun like classic Klondike Solitaire. Solitaire Classic is sure to bring back old memories of the days when Solitaire reigned supreme. We’ve taken the quintessential solitaire experience and revamped it for the new century. Unlike some solitaire card games that lack polish and others that add too many bells and whistles, distracting from the core solitaire experience, Solitaire Classic strikes the perfect balance both in terms of vintage solitaire gameplay and practical modern design, giving you just the right amount of options for all your solitaire needs! 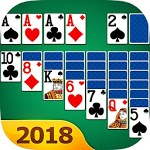 If you are a fan of Solitaire, Spider Solitaire, Freecell Solitaire, Tripeak Solitaire, or any other Solitaire card games (also known as Klondike or Patience), then you should definitely try our classic Solitaire card game which will be the most beautiful and user friendly solitaire game you've ever played. What are you waiting for? This simple gem is the ultimate solitaire challenge - play Classic Solitaire card game now on Android for FREE!